The Heba diffuser is a unique and inexpensive way to vastly improve your hookah smoking experience. The Heba diffuser attaches to the bottom of your hookah's downstem and breaks up all of your hookah smoke into tiny bubbles for better water filtration. You will immediately notice the smoothness and coolness of the smoke once you start using a Heba diffuser. -Small - for very small hookahs with a narrow opening. 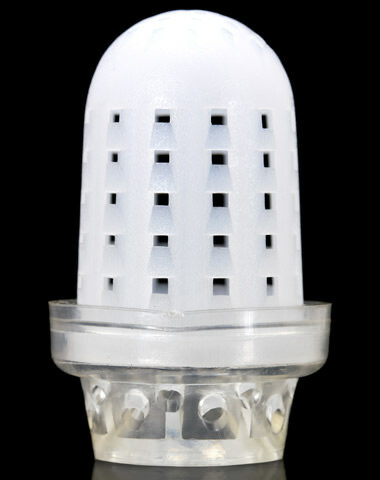 The combo pack includes both the small and large diffusers. Heba Diffuser has a average rating of 5 stars out of 5 stars based on 1 reviews.